I was fortunate to have a bit of time to get to Otari (native botanic garden) yesterday. 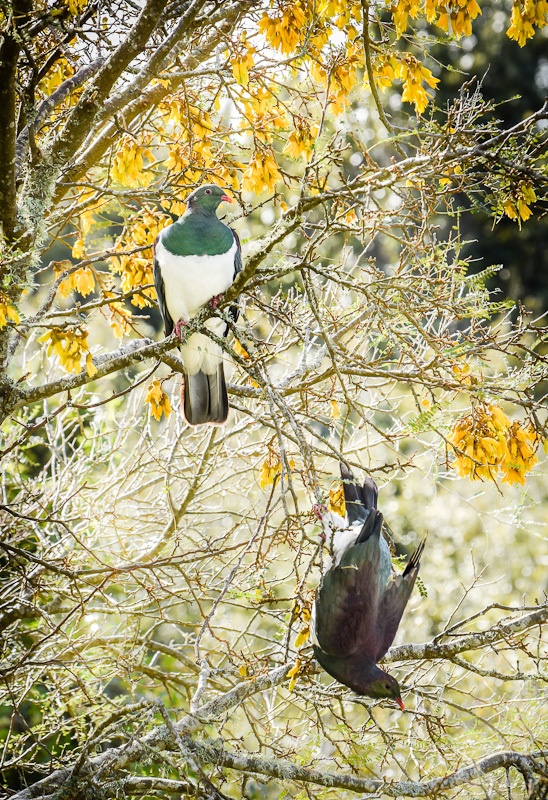 The sun was out, some kowhai were in flower, and it was very peaceful apart from the whoosh whoosh whoosh of kereru flying from tree to tree. They are such a wonderful sight - their beautiful feathers, and their rather ungainly but often gorgeously plump bodies - like bumble bees, they don't look completely air-worthy. 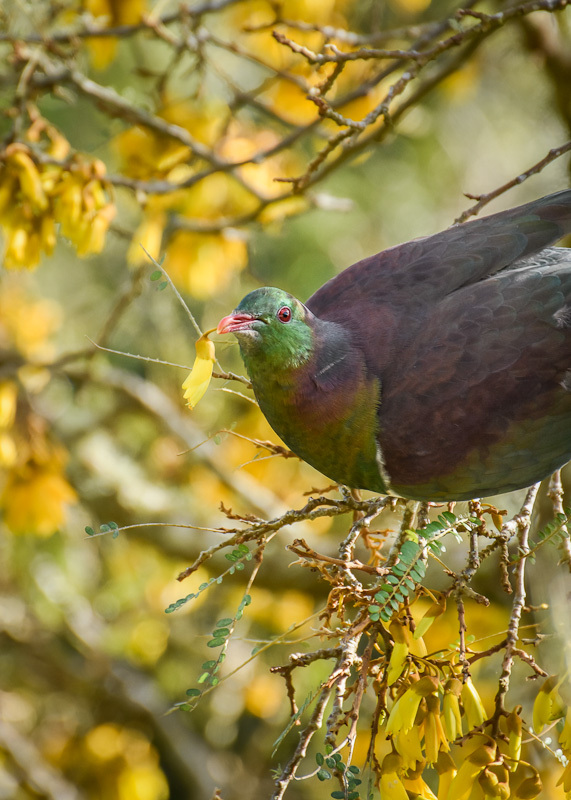 While the other was doing some gymnastics to reach and eat kowhai flowers. 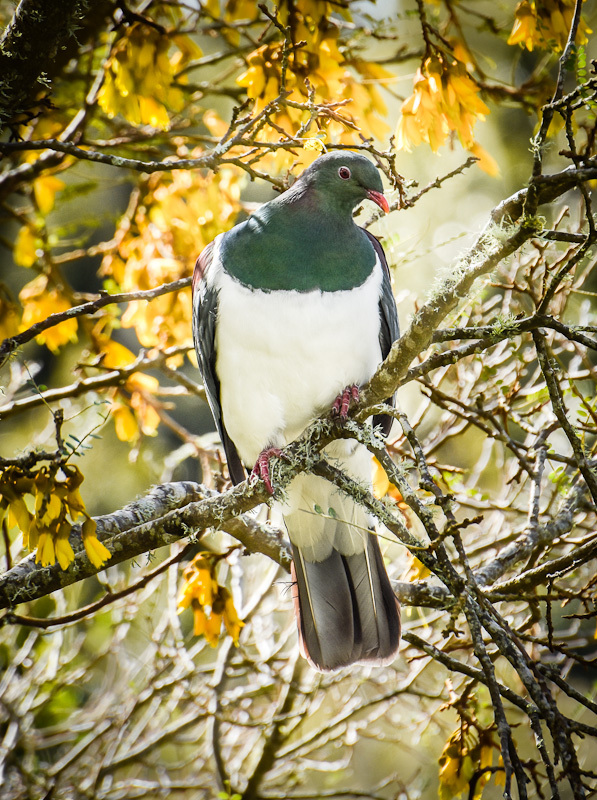 A happy spring sighting and a happy reminder- it is just about time for the Great Kereru Count.